Egg provides complete protein to us at cheaper price than any other type of food.. By adding egg in our regular diet, we can ensure regular supply of complete protein to our body. Heat oil in a pan add eggs one by one and needed salt stir well till eggs are scrambled well and keep it aside. Cook the rice with water in a pressure cooker or microwave oven and cool them in a separate plate. Heat oil in a wok, add crushed garlic fry for 2 sec then add spring onions(white part) and sauté for one minute then add finely chopped green chilies saute for one min. Add chopped veggies(carrot,beans,cabbage) saute well for 5 mins or till half cooked. Then add soya sauce saute well in high flame for 2mins stirring continuously then add salt and pepper powder mix well for another one min. Then add cooked rice mix well thoroughly and add scrambled add give a quick stir.Take care not to mash the rice handle gently. Sprinkle some spring onions and serve hot with tomato sauce or with any indo-chinese dish like baby corn manchurian,or gobi manchurian. Labels: easy egg fried rice recipe, egg fried rice recipe, how to make egg fried rice, indian recipes, indian style egg fried rice, quick lunch box ideas, restaurant style egg fried rice recipe. 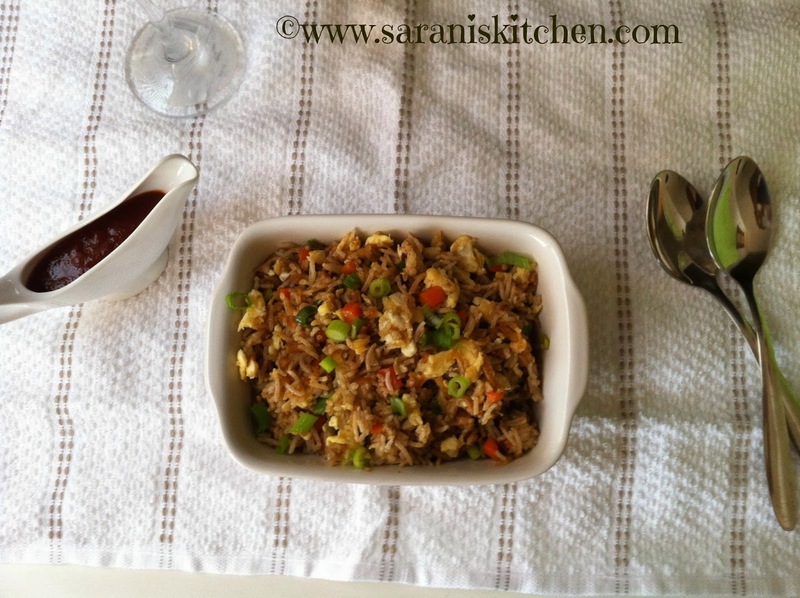 I can never say no to this dish..
That rice looks full of flavors and so great on its own. yup..as Rumana said..can never say no to this !!! soo tempting !!! 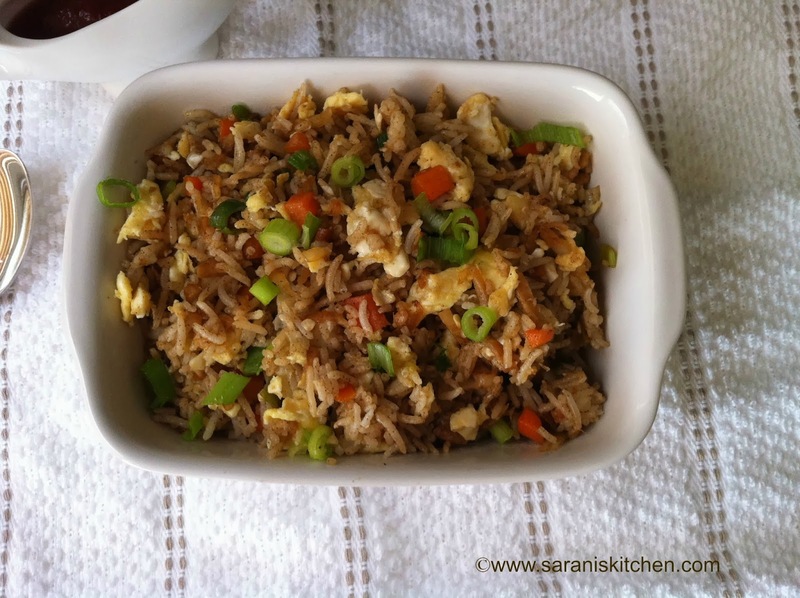 This is one of my favorites.. Looks so delicious..
Yummy egg fried rice.. It is my all time favorite..
Great . Looks just like the restuarant version. Thanks Sharanya. Following you.